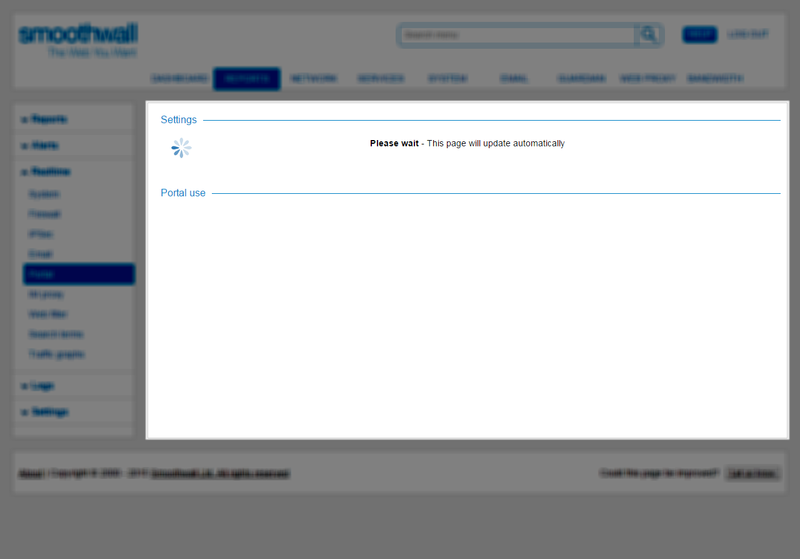 The Portal page displays real-time information about users accessing the Smoothwall portals.  Go to Reports > Realtime > Portal. For more information about portals, see Working with Portals.